Among all of the obsessing over companies and technologies, discussions over the role of those charged with getting the most out of ICT can sometimes be neglected. Debate over the responsibilities of CIOs, CTOs, CISOs and others are confined to an echo chamber where the same voices are raised, most of them insiders. Everybody agrees that technology is a critical source of competitive differentiation but there's scant attention paid to the specific jobs people do, organisational structures and how teams and workflows are assembled in order to facilitate optimal information management. Without these foundations, you wonder, how many tools, ideas, platforms and investments are squandered? 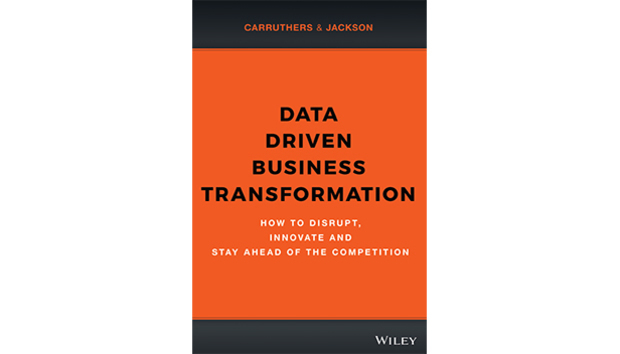 The latest abbreviation to skirt the IT department is the Chief Data Officer and, thankfully, Catherine Carruthers (with co-author Peter Jackson) addresses the topic in a book scheduled to be released in March, Data-Driven Business Transformation: How Businesses Can Disrupt, Innovate and Stay Ahead of the Competition. Carruthers herself is what passes for a veteran in this infant segment, having been the first CDO at Network Rail, the body responsible for UK railway infrastructure, and, before that, director of data management at credit management firm Lowell Group. This book sounds as if it is in some ways a complement to her year-ago work The Chief Data Officer's Playbook and, like that earlier tome, it is touted as a practical guide - with hints of manifesto and a pamphleteering call to arms - to the new world. That world is concerned with what we do in the wake of widespread realisation of the huge value to be gleaned from data management and analysis now that we have the frameworks, tools and the compute capacity to interrogate these resources.